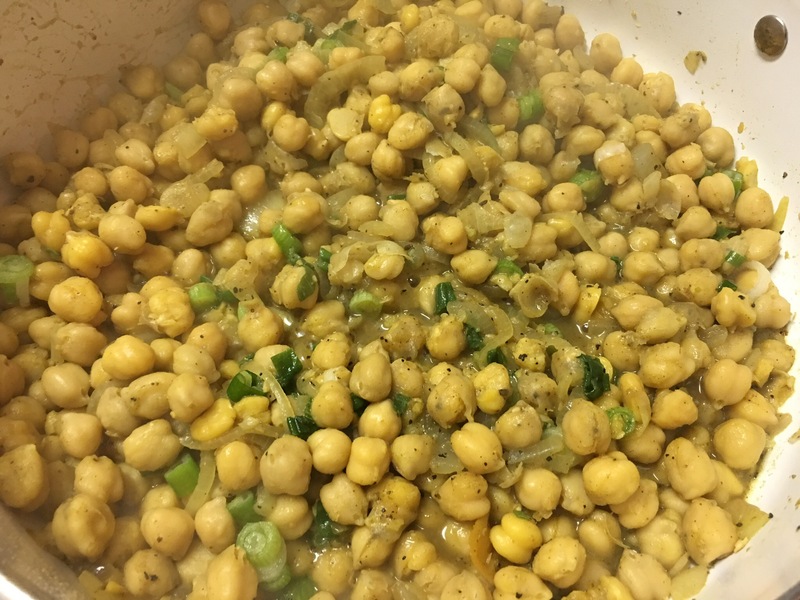 West Indian Channa (aka sautéed garbanzo beans) – Hurried Home Chef! Another West Indian staple is Channa. 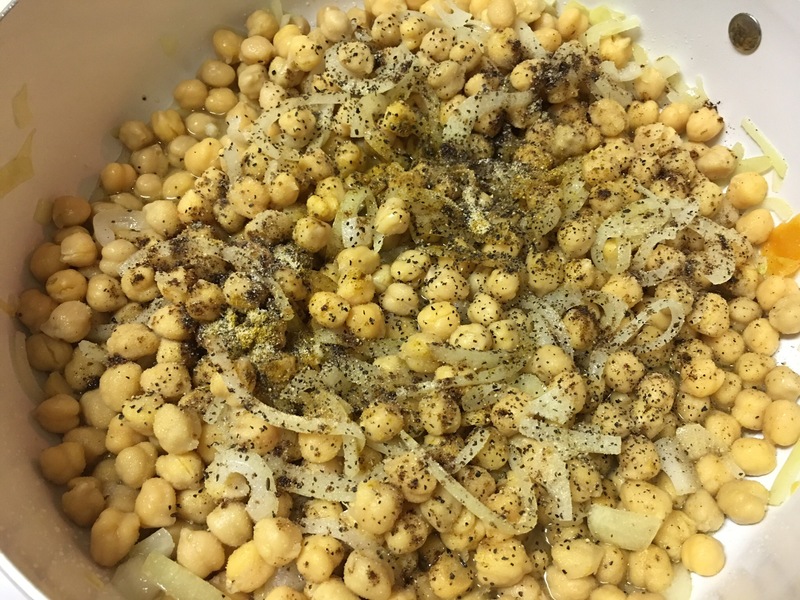 Most people here know them as garbanzo beans and they can be eaten right out of the can on salads or in soups. I like to sauté them, add spices, and use as a main course or side dish. I used the canned ones but if you want to, you can use the raw beans if you have time or a pressure cooker. You should soak them overnight then boil until they soften to your liking. I start by draining and rinsing them. 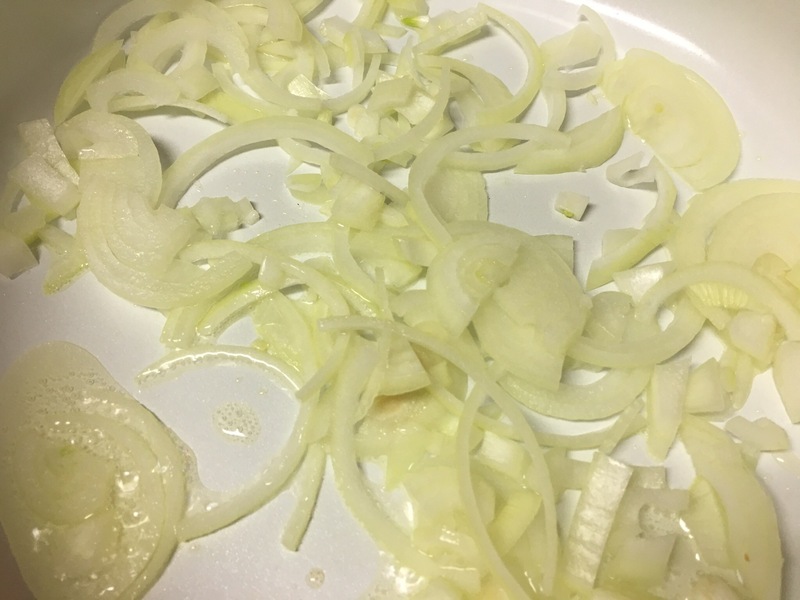 I like a lot of onions. Start with a medium onion and about 1/6th of a habanero pepper, sauté in some oil. Add the beans, I used 3 small cans, this is a staple and most in the house like it, so I usually find the larger cans and make 2. This is good for 4 people as a side dish with a bit left over for lunch the next day. Here I added roasted ground cumin, in the Indian store it will be called Geera, about 2 tsp. The usual salt and black pepper is added and some curry powder, about 1 tsp. I like to use fresh garlic but garlic powder is good also. Add some water or stock to let it boil and soften to your liking. Cover and reduce to medium. Check to see they are soft enough, uncover, let the liquid cook down. Finish off with some green onion, I keep these cut and frozen all the time, a big time saver. Serve hot! I eat this on it’s own, it goes well as a side dish for most Caribbean food as well. I’ve had this at breakfast with eggs before as well. Give it a try. Pingback: West Indian Karila, aka Sautéed Bittermelon – Hurried Home Chef!